A cool bag and some cool glasses. Jeff brings us his bag from NYC. 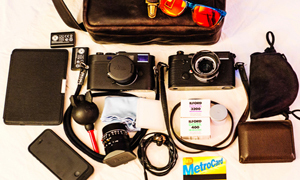 A mix of classic and modern Leica gear, this is very much a big city street shooters bag. Come and check it out. I think your website has a wealth of information regarding film photography, and one day, I hope you will be called to help me find some exotic photographic item. 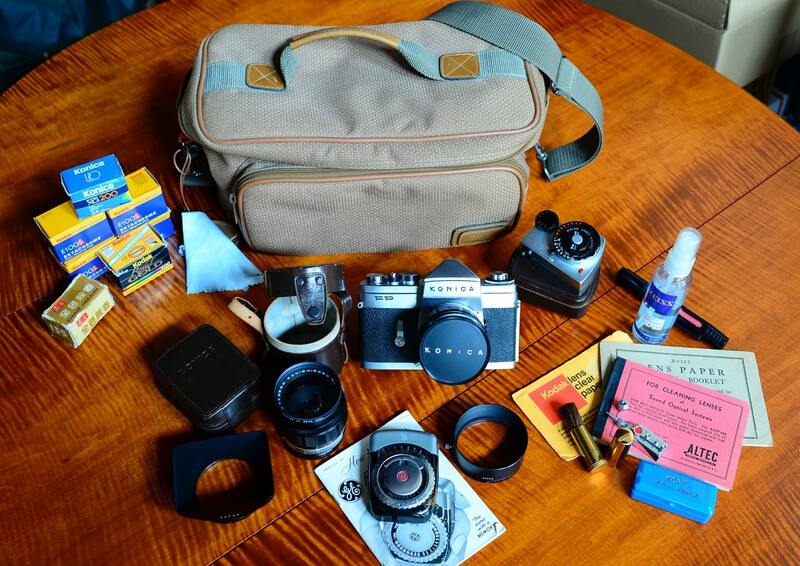 In the meantime, I thought I would share what’s in my (photography) bag. 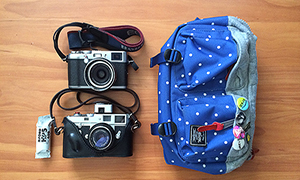 Principally, I shoot street photography and my family (mainly, my 2-yr. old daughter). I make a living doing something entirely different (let’s say) but photography is really my creative outlet. In no small part due to your website and articles, I recently acquired a Weltzar Leica M6, which I am learning, and learning to adore. 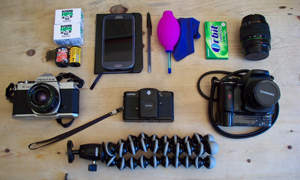 OK, onto the main attraction: what’s in my bag? 18) Louis Vuitton Taiga leather wallet in chocolate (it’s lasted like 5-years and been through about 10 wash cycles in my pants). Keep up the great work Bellamy, and fighting for the survival of film. 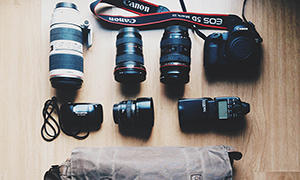 Hope I require your services someday, to find me that special photographic item. Thanks for reading about my bag. 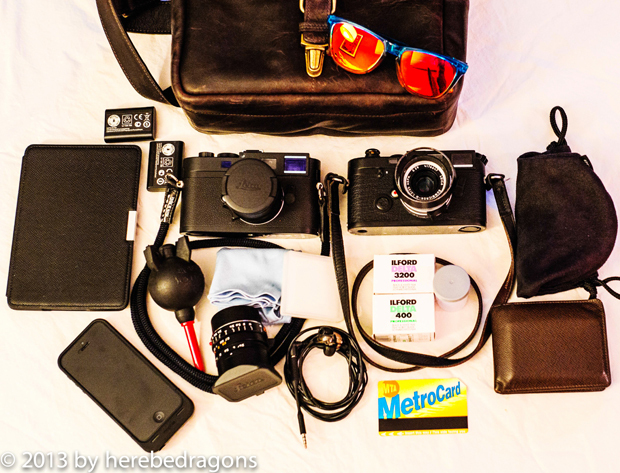 Thanks for sharing your bag with us Jeff, that certainly is a very stylish street bag. I love the glasses. There is no link, so if you have one, please send it to me. Make sure you guys come and comment to spread the camera love.